Dartington Crystal is one of the biggest names in glassware. 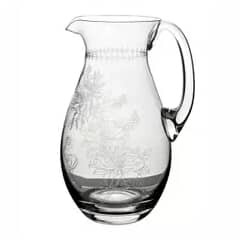 Their UK crafted glasses, vases, pitchers, and other glass items are highly sought after by collectors as well as those that want attractive and functional items for the kitchen and dining table. 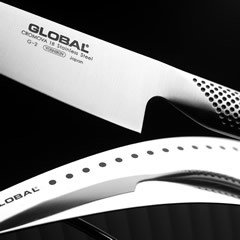 The company was established in the UK in 1967 by a group of Swedish glassmakers. They introduce techniques of hand blowing and hand making glassware and the use of natural materials combined with the handmade process saw them become very popular very quickly. To this day, many of the same manufacturing techniques are still used. Initially, pieces used Swedish designs, but the most recent designs have been based on work by British designers. 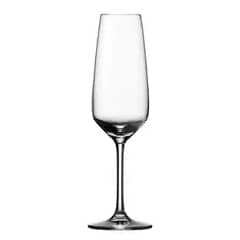 At ECookShop we stock a large range of Dartington Crystal wine glasses, vases, tumblers, and other glassware. All orders over �50 include free delivery to any mainland UK address, and we ensure that all of our deliveries reach customers intact and in good time. 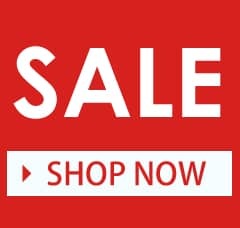 Call to speak to one of our team today, visit Dawson's Department Store if you want to see our full stock of glassware, or buy using our secure online ordering system that gives you immediate access to our catalogue of great quality items including Dartington wine glasses. Dartington Crystal is well known for its production of high quality glassware. They are arguably best known for their glasses and Dartington glasses sets. However, they also have a popular homeware and giftware collection that also includes clocks. 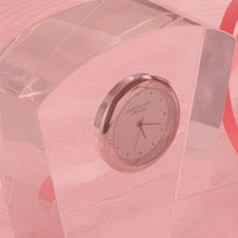 Dartington Crystal clocks feature sleek, straight, clean lines, and are all handmade. Choose light or dark colours, shapes like semi-circular or crescent designs, and buy a beautiful looking and hand crafted glass clock for your home or office. It is possible to engrave the clear clocks with a chosen message, and these make great gift ideas for friends and family members. They are beautiful, the brand is very well known, and hand crafted glass clocks really can be used in any room of any property. Dartington Crystal vases are just one range of giftware from the well-known Devonshire artisanal company. The picture frames have a traditional look, while the clear frame and clean lines, mean that these heavy and enduring frames are surprisingly light in their appearance. Most of the frames have a ribbon style etched effect around the border, giving them a real touch of interest and class. Other giftware items include tea light holders in a selection of colours, while flower bowls are also available. 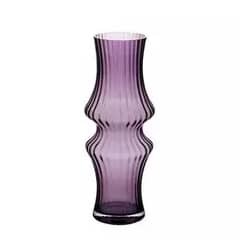 However, one of the most popular items of giftware available is the Dartington Crystal vase collection. Flower bottles and flower bowls also make this selection of gifts from the manufacturer. Dartington Crystal vases are available in a great selection of colours, styles, and shapes and designs. 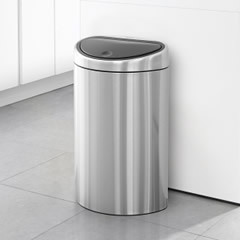 If you are looking to add one to your own home, you can choose according to the style and design of the piece so that it fits with your d�cor. Alternatively, if you are buying a gift, choose the style that best fits that of the recipient. They will appreciate a high quality, durable, and recognisable piece of Dartington Crystal glassware. 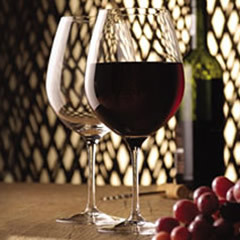 For all the giftware, like vases and picture frames, it is Dartington Crystal wine glasses, whisky tumblers, martini glasses, and other drinking glasses that the company has become so well known for. 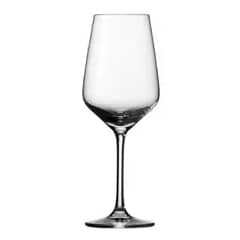 It is possible to buy Dartington Crystal glasses individually, for example if you need to replace a glass that you have broken. Alternatively, you can also buy Dartington wine glasses as a set of 6 in order to create a full set in one go, and ensure that you have matching glasses at the table. Choose between white or red wine glasses, champagne flutes, and even consider adding whiskey tumbers or martini glasses to your Dartington Crystal collection. 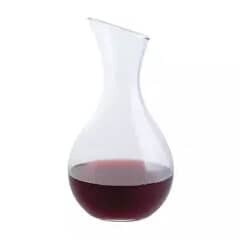 Decanters are another popular choice with Dartington buyers. Not only do drinks like whiskey and sherry look better when stored in a decanter, compared to leaving them stored in the bottle, but they also enable the contents to breathe better, potentially improving the flavour and taste of the spirits. 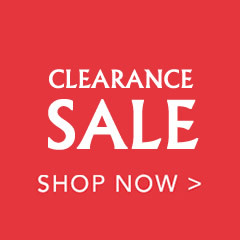 With 40 years of history manufacturing and supplying some of the best-looking glass and crystal products, Dartington glasses and giftware is available in a huge array of styles and designs. 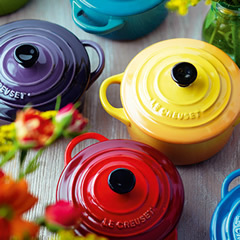 At ECookShop we have some of the most popular lines and ranges available for you to purchase. The Dartington Drink sets are sets of 6 matching glasses. 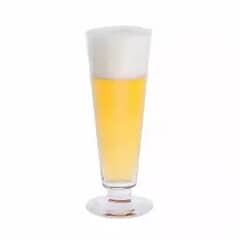 There are sets that include red wine glasses, those with champagne flutes, white wine glasses sets, and Dartington Crystal glasses sets of 6 drinks tumblers that are suitable for whiskey and other spirits, or to use for water at the dining table. If you want a touch of something special with your glasses set, then the Dartington Glitz collection, incorporating Swarovski Crystal elements, has all this to offer, and more. Choose from clear or even black coloured glasses. Buy single glasses or pairs, and you can even opt for a single boxed champagne flute that makes the perfect gift for somebody that enjoys a glass of sparkling drink. 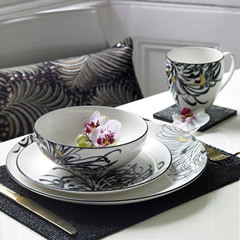 Other popular sets include Dartington Rachael, Sharon, Vineyard, Wine and Bar, Wine Debut, and Winemaster collections. All these sets are a little different and unique. As well as different glasses, some of these sets also include items like wine coolers or decanters as part of the collections. How To Identify Dartington Crystal? 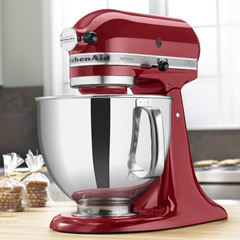 All of the products we sell on ECookShop are authentic and genuine. 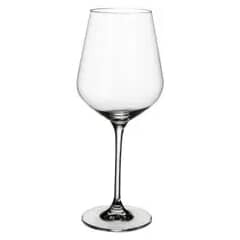 When you buy Dartington Crystal wine glasses and other Dartington glasses, you can be assured that you will receive the items that you pay for. ECookShop is the official tableware and kitchenware website of Dawson's Department Store. 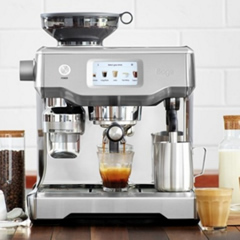 Browse our extensive catalogue to find some of the most popular lines, buy online through our secure ordering system, call us to ask any questions, or call in to the store to see all of the kitchenware items that we provide.